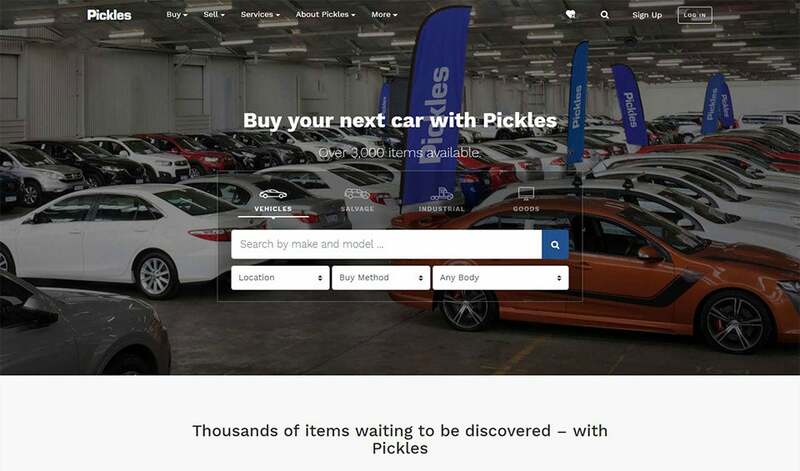 In order to extend their market share in Australia, the Pickles board identified the need to re-platform, re-launch and extend the functionality of their primary web presence. Given the short timelines for phase one, planning and preparation were extremely important. Interesting defined and facilitated a series of workshops with the different Pickles business units to ensure all requirements and goals were fully understood. Interesting documented and collated the results of each of the workshops and defined the objectives and requirements for phase 1, phase 1.1 and phase 2. The complex and diverse nature of the Pickles business meant that seamless systems integration was a primary requirement of phase one. 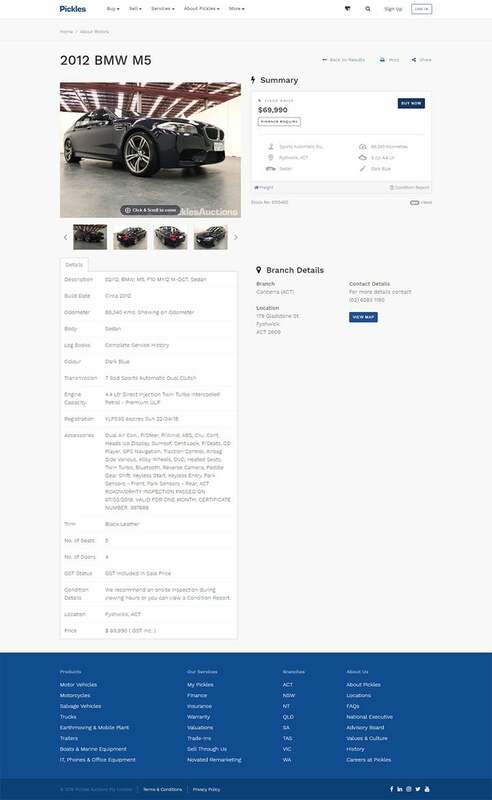 Interesting was tasked with the implementation of Kentico v10, fixed price online vehicle sales and the integration of the new corporate brand, to achieve this Interesting, the Pickles I.T team and the Pickles marketing team had to work together closely. The Pickles website was successfully relaunched on the new Kentico platform with dramatically improved Google page speed and SEO results. The sale of fixed price vehicles online was also successfully launched as part of phase one. Pickles and Interesting are now collaborating on phase 1.1.